This post is by Tristan Gray, Managing Director at Studio 56 in Melbourne, Australia. As a serial entrepreneur and business owner, he and his team now help business owners grow their business online through a large number of advertising channels. Success in social media marketing does not rely entirely on the quality of content or number of connections your business has. 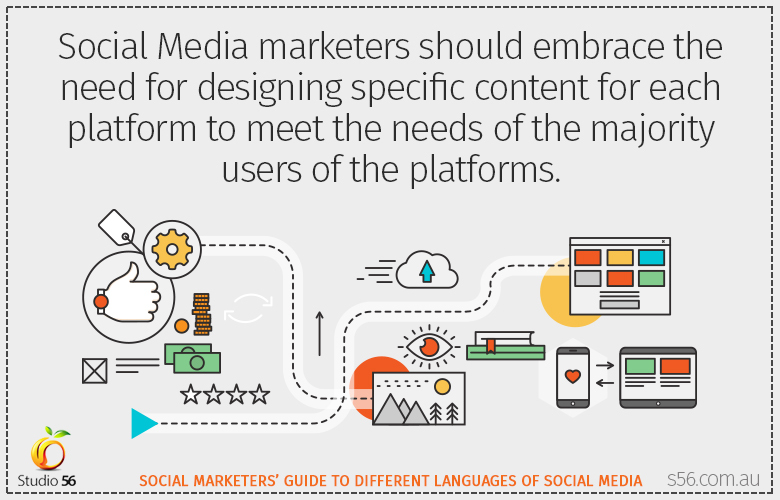 Though nailing the quality of content is paramount, social media marketers ought to embrace the need for designing specific content for each platform to meet the needs of the majority users of the platforms. This is mostly important when you consider the different kinds of people popular with different social media platforms. The majority of people found in Facebook are different from those on Twitter or Instagram. Same is true for their content preference. Think of your behaviour when you meet with friends; -how you talk, what information you give them, the language and tone. Now, compare this with when you are with your clients. Your topics of discussion and language used are very different in these two scenarios. More so, interchange of the language could harm both relationships. So is true for different social media platforms. Bombarding your audience with the wrong content has serious repercussions to your marketing effort. For once, such content does not catch their attention. In this case, you lose an opportunity to draw possible followers to your page. In fact, overload with irrelevant content can as well drive away those who have been your serious fans. Losing your target market minimizes your chances of getting expected ROI out of any marketing campaign. To avoid this, social media marketers need to understand how different platforms work. It is also necessary to find out which kinds of people use a certain platform and the type of content suitable for them. Armed with the information, such professionals will tailor their campaign messages to attract maximum click through. Such users will also be interested in sharing good and relevant content in their timeline for their network to see. This is how you reach new people and draw them to your profile. Here is a keen look at different social media platforms and some statistics to help you get an idea of who could be your target audience in each. Facebook is the largest social media platform in the world today, with over 1.55 Billion active users. Besides, it is a popular platform with people of all walks of life using it on a daily basis. Its numbers are growing as well and this makes it a great marketing resource for both small and large enterprises. However, before you jump in with your marketing content and spread it all around the platform, here are some interesting statistics that may guide you with your marketing strategy. 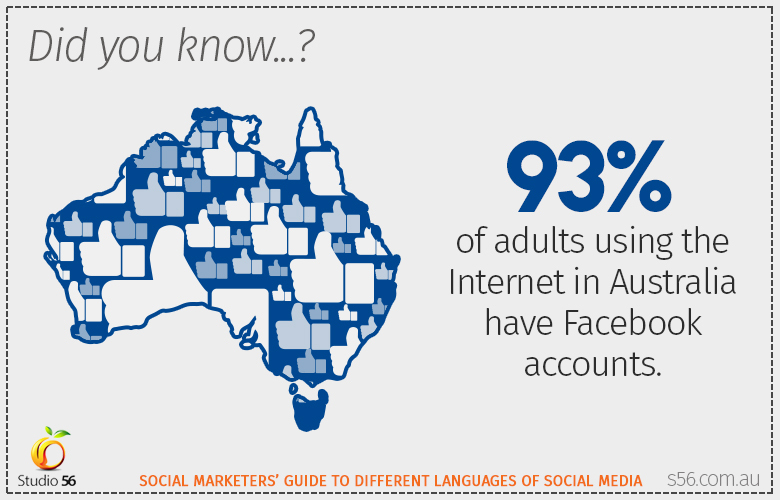 – 93% of adults using the Internet in Australia have Facebook accounts. – The most active user group are young adults – 97% of them are on Facebook. Generally, this platform is your go-to option when you want to reach the highest number of people with your marketing efforts. People in this platform will enjoy high visual content which includes videos and photos. Also, you can add clear descriptions of what each image or video is about. You could also include a link to articles and other content where necessary. Here are other tips to make your posts in Facebook more effective. Photo posts are among the most engaging in Facebook. Most people will comment, like, and share images more than they do text-based posts. Their performance is even better when you make the images self-explanatory. According to a Hubspot study in 2012 done on 1,545 B2C and B2B companies, those sharing photo-based posts in Facebook got 53% higher likes and 104% higher comments than those posting words only. Many people think emoticons are suitable for teens only. Conversely, you would be amazed that these expressions can improve your likes by 57%, comments 33% and share rate by 33%. How can this be? Perhaps it is because it breaks the tension or seriousness with your posts thus giving it a relaxed tone or showing the human side. The point here is to be precise and to the point. In any case, there is a lot of content to read in social media and it helps if one doesn’t spend a lot of time trying to figure out what your post is all about. When you are sharing external links, whether to your own site or someone else’s, try to write a catchy title or caption. You can hear people complaining about click-bait titles on social media quite a lot, but they actually do the job and most people click to see what is going on! Just don’t be too aggressive and misleading. There is a common belief that most users of Pinterest are women. Well, you wouldn’t be wrong to assume that going by the following demographics by Sensis. As a marketer, you look at those demographics and you can tell what kind of content your target market could be interested in. For once, it is notable that this is a popular platform for the young. In addition, a majority of them won’t be there every day and spend too much time, so your pins need to stay relevant for longer time. However, do not forget that your main audience here will be women. 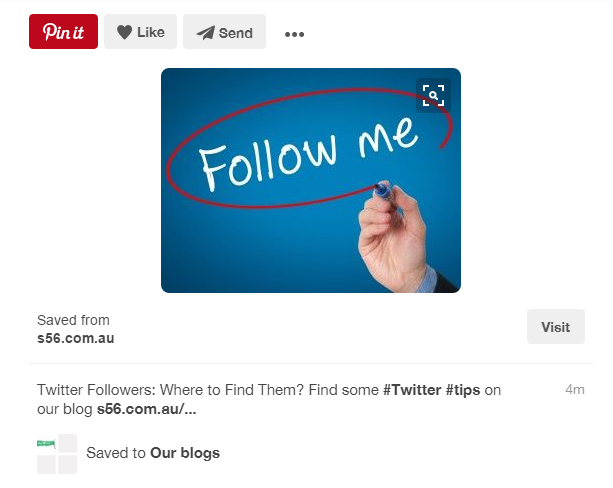 When posting, you can view Pinterest as a virtual board, where you pin images advertising your product, an upcoming event, or so. The best part is that you can easily add content to describe or emphasize key points of your message. Your aim is to make it clearer as well as give more details. Always make sure to choose beautiful imagery. 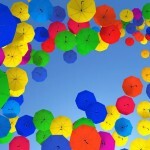 You can use colors that stand out to make it more appealing to your audience. A tall image of 1000 pixels or more will carry the day. To every pin: this is your chance to sneak in your brand name or products and services, so don’t miss it. Explain what is on the image or link you are pinning and make sure it’s conversational and not stuffed with keywords. Not all people in your Pinterest audience are the same, so try to make a board for different tastes. A comedy board, a board with tips from your field of interest, a DIY board, and update all of them regularly. But don’t over use them. It’s easier to target best audience when using a good hashtag, but people will get annoyed if you stuck 5-6 of them next to one pin. 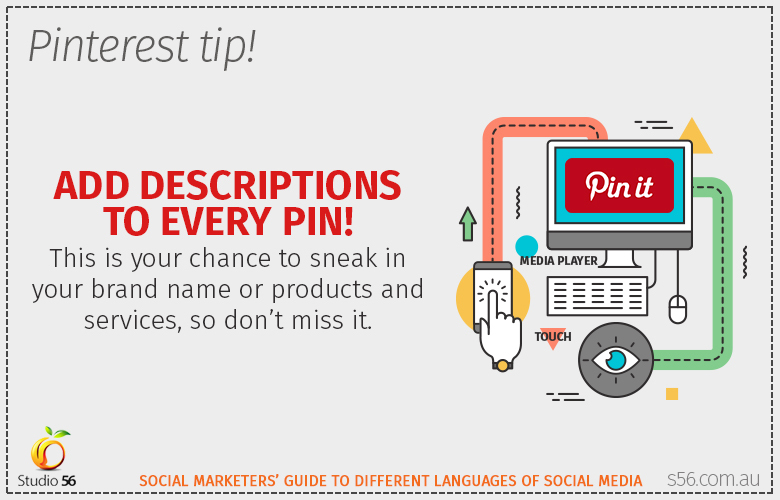 Hashtags should be describing the pin and helping people find what they are looking for, and not just to get clicks. This is another social media platform gaining popularity in the marketing field. By September 2015, Instagram had already hit 400 million users. 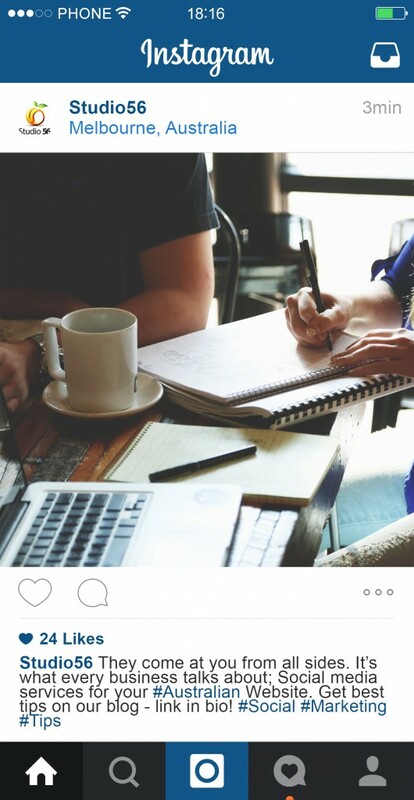 When you talk about marketing, many people think Instagram is only suitable for B2C companies. However, B2B enterprises can as well tap into the popularity of this platform and use it to reach their target market. It is one platform you can use to allow clients to connect with your brand at a personal level. 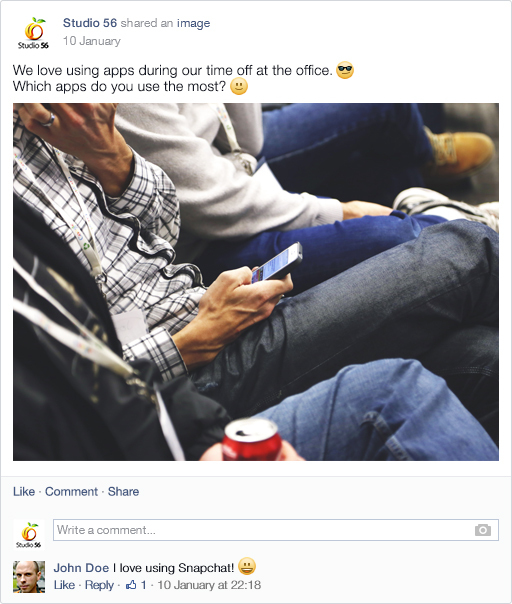 This is by sharing photos and videos of your company events when they are happening. So who is in Instagram? This is a good question for every social media marketing expert seeking to make the most out of their efforts in this platform. 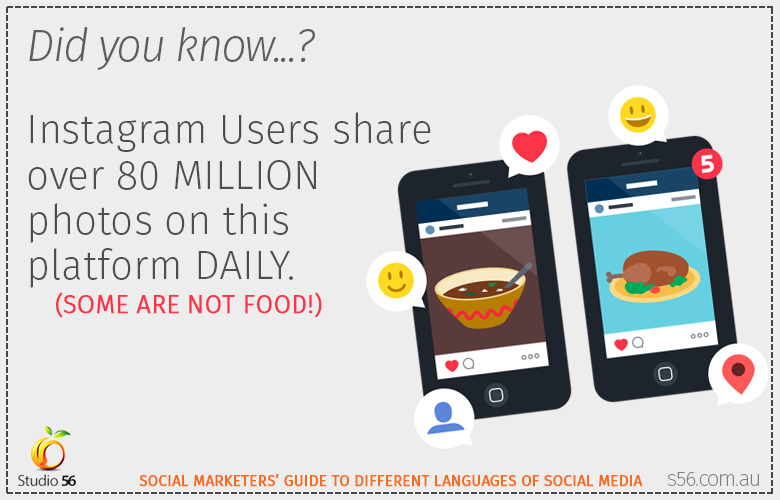 Here are some interesting Statistics any social media marketer should keep in mind when considering Instagram. – Users share over 80 million photos on this platform daily. – 75% of such users are outside the U.S.
– It also attracts 3.5 billion likes daily. According to already mentioned Sensis social media report, 26% of Australian internet users are using Instagram. It’s most popular among the young adults – 54% of Instagram users in Australia are aged between 18 and 29. The research findings also indicated most users being women, with a percentage of 29 compared to men who were only 22%. Feature your brand colors, typography, and others. Of importance is to make them highly visual and compelling. You may need to invest some time in learning different tools available in Instagram you can use to modify your image to fit your needs. They provide an avenue for your post to appear in other social media platforms such as twitter. Your target audience will also follow these hashtags and stay engaged with your brand activity. They accompany your image or videos thus making them more vivid to the readers. At least 17% of Australian adults using the internet use Twitter. It is interesting to note that Twitter is popular among residents of urban areas as per a study by Sensis in. Also, 63% of those users are under the age of 50. Looking keenly at the above demographics, you can deduce that Twitter is among the best places to market your brand. With over 316 million active monthly users and counting, you cannot just ignore this platform. You have high chances of finding your target market in this platform if you know how to tailor your messages. 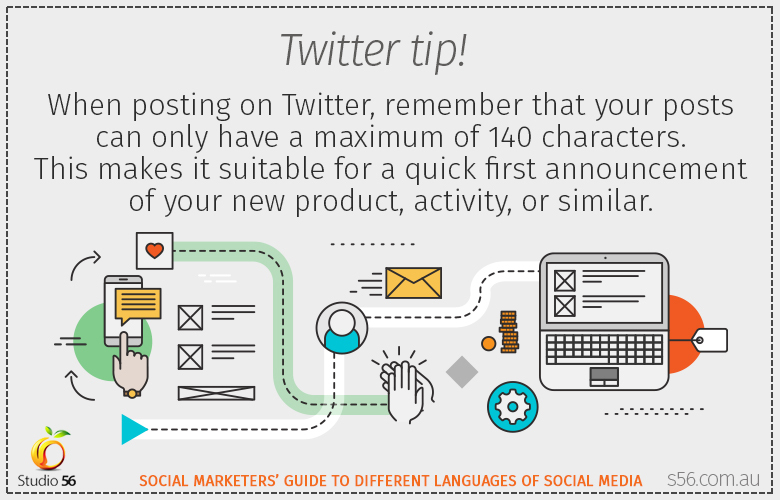 When posting, note that your posts can only have a maximum of 140 characters. This makes it suitable for a quick first announcement of your new product, activity, or so. Your clients will be proud to be the first to learn of your upcoming contest, event or a new product release. Also, you can amass a crowd of followers interested in a certain product, discussion or so by creating relevant hashtags. However, use this platform for initial contact with the aim of redirecting such followers to other social media platforms such as Facebook, your blog or so. Tweets with hashtags receive twice as much engagement (retweets, replies and likes) than those without. One or two hashtags in your tweet are the best practice. Tweets with 3 or more hashtags get a lot less engagement. Adding photos and/or videos to your tweet will bring a lot more engagement. According to Buffer, tweets with images got 89% more likes, and as much as 150% more retweets than those without! Act like you’re just another Twitter user, and avoid business jargon as much as possible. Ask your followers questions and use viral words and phrases, such as “this is”, “the best”, “how to”, “you”, “great”. People just love seeing words “special offer” or “15% off” everywhere! 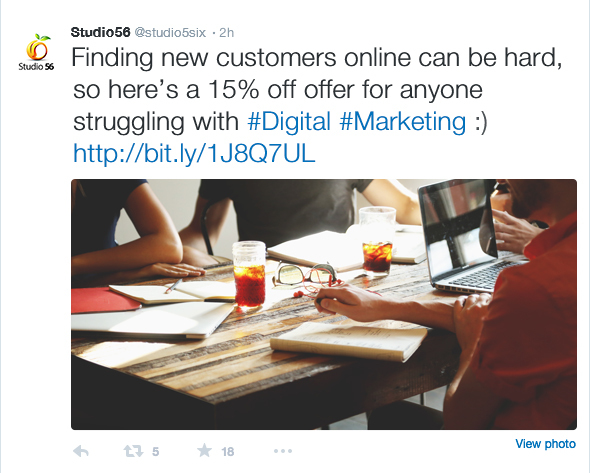 Add the offer in your tweet along with your link and a hashtag related to your brand, and you will get those clicks. LinkedIn is a suitable platform when your aim is to connect with like-minded people. In this platform, your main audience will be majorly professionals. It makes a great platform for any startup to find and connect with possible B2B customers. In fact, a study released by a social media marketing platform Oktopost shows that LinkedIn develops about 80.33percent leads of B2B clients. This is an amazing performance compared to the likes of Facebook, Twitter, and others. It is also good to note that according to the same study, those posts ending with a question mark attracted engagement. Posts doing well in this platform had about 248 characters. Another part of this interesting study shows that, if you want to gain traffic, interact with users and generate leads, the best places to post are discussion groups which account for 86.3% conversions, company pages with a possibility of 10.07% conversions and finally, personal profiles which give you about 3.63% conversions. It is important to note that about 45% of members in LinkedIn are in high management positions. At the same time, there are users of LinkedIn seeking to make important connections that can give them an edge in their profession. Either way, they gain an opportunity to interact with a brand and can easily turn into buyers. Today, one can post content or share their blogs on LinkedIn and gain a lot of audience. In Australia, 28% of people using social networks have a LinkedIn profile. Most of them are adult professionals – 34% are in their thirties, and 40% of them are checking their LinkedIn feeds once or twice per week. Of importance is to make the content related to business if you are to attract many LinkedIn users. Also, you benefit by joining groups and discussions related to your business interests. Share your opinion in relevant discussions and gain followers for you and your brand. When sharing an update on any social networking site, it’s important to keep it short and to the point, same goes for LinkedIn. When sharing links, write link titles with 70 or less characters, and don’t have more than 250 characters in link description. 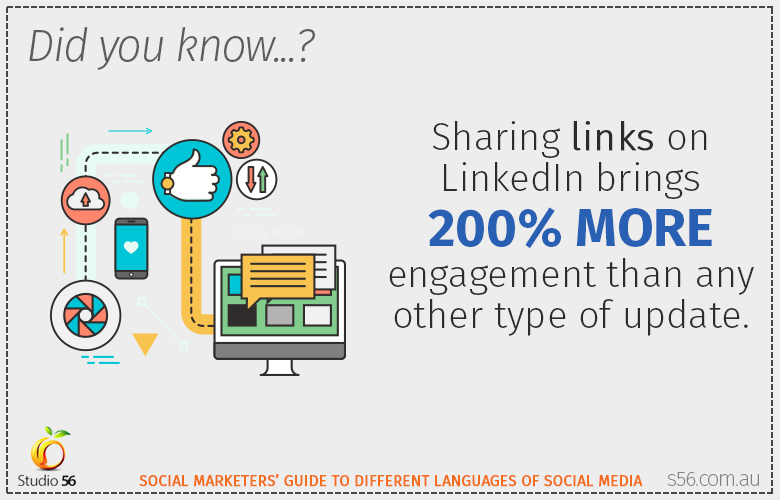 If you are aiming for engagement and starting a conversation, sharing links on LinkedIn brings 200% more engagement. Images are bringing a lot of comments, while videos are most likely to be shared. LinkedIn recommends having around 20 posts per month on your company page, which means roughly one post per week day. 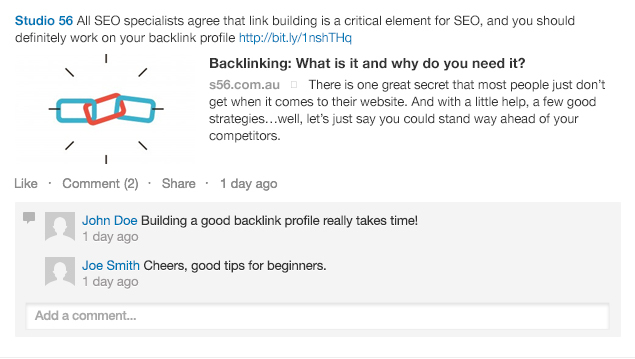 This practice allows you to reach 60% of your audience on LinkedIn. As you may have noticed, not any of these platforms can serve all purposes in your marketing strategy. This makes it necessary to consider using these platforms hand in hand as they could complement each other.